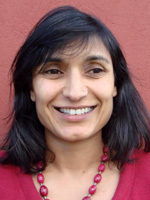 Nisha is a consultant psychiatrist in the NHS. She qualified in medicine from Cambridge University and has since worked in a variety of community and hospital settings, achieving MRCP in 1990. Her psychiatry training began in 1992, she attained MRCPsych in 1998 and she started in her first general adult consultant post in 2006. She is currently working as a Perinatal and Psychosexual Psychiatrist. In 2010 she set up and developed a small service providing mental health care to pregnant and post-natal women at the Whittington Hospital in North London. After 5 years she moved to her current post in Waltham Forest (NELFT) and now leads a much larger service. Her previous appointments include sessions at the Psychosexual Problems Clinic in Camden with Professor Michael King. Nisha has extensive teaching experience and is clinical supervisor to junior trainees in psychiatry. Currently she teaches health professionals from medical students to midwives, with regular involvement in the training of GPs, psychiatrists and psychotherapists. She is published in a range of areas. Her interests include the ethics and philosophy of psychiatry (she holds an MA in Philosophy) and she has an Advanced Diploma in Family Focused Interventions and a Diploma in Integrative Psychosexual Therapy (UKAHPP). She combines her medical training and knowledge of pharmacological interventions with a broad understanding of a number of psychotherapeutic approaches including CBT, SFBT, mentalisation, mindfulness, psychodynamic and systemic approaches.